Caring for a loved one with Alzheimer’s can unveil a roller coaster of emotions – with heartbreak and frustration among the lot. It’s difficult seeing our loved one’s health disintegrating, and the transition from child to caregiver is never an easy one. 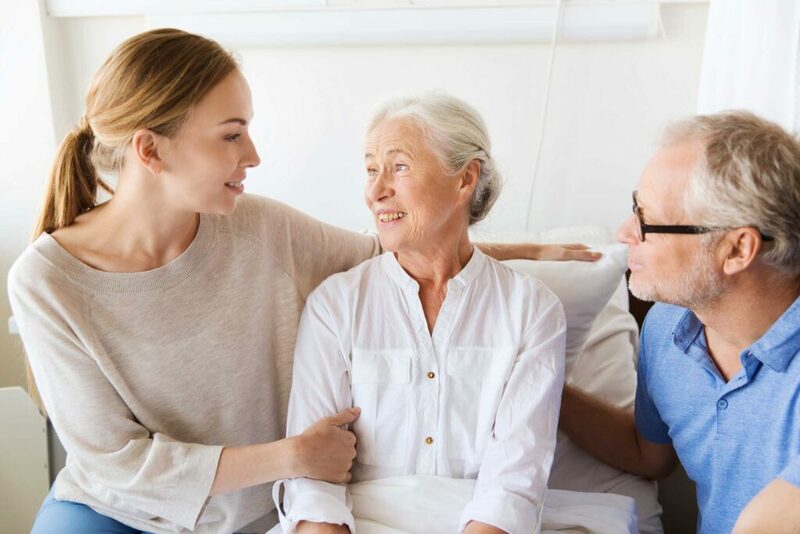 In light of World Alzheimer’s Day, we have outlined a few helpful tips for helping a loved one with Alzheimer’s age with dignity while maintaining your peace of mind. When your loved one exhibits cognitive symptoms, it’s important to remain patient, calm and empathetic. Understand that the reality people with dementia experience is caused by damage to the brain; they cannot help how they think or behave. You can help maintain their dignity and respect during this difficult time. Alzheimer’s disease or other dementia’s may cause your loved one to believe they are in a situation that you know is not real. There is no value in arguing with them or denying their experience. Try to change their focus to another topic or “go along” with what they are saying. Be present in their reality, validate their experience, and acknowledge their real emotions. We all enjoy being complimented. Telling your loved one she looks beautiful in her favorite outfit brings joy, supports dignity and builds self-esteem. In addition, complimenting past accomplishments can help her feel important and valued. As people get older, they often feel they have lost their significance. Reassure your loved one he is valued and his opinions matter. Ask what he thinks and feels about things. For example, ask your dad if he likes a certain type of food or if he likes the new landscaping in the park. As the disease progresses, your loved one will be unable to complete some tasks. Allow her to do as much as she can while she is still able. Asking her to help you complete a task or make a decision about what clothes to wear can help build self-esteem and maintain her dignity. Minimize future cognitive symptoms by planning ahead and being proactive. For example, if your loved one experiences challenges with times and places, you could use a calendar or notes to help him keep track of upcoming events. When you notice your loved one’s cognitive symptoms are progressing, it’s important to take note of what you observe, write it down, and report the symptoms to your loved one’s doctor. Keeping track of symptoms may also help you identify what triggers a particular symptom and ways to minimize it. However, if you find a technique to minimize a symptom, keep in mind that it may not work every time. Join us in expanding our roots by becoming a franchise partner.